An iPhone application has been launched to detect signs of arrhythmia. The ‘Know Your Pulse’ app, released by charity Arrhythmia Alliance, aims to improve diagnosis of heart rhythm disorders. Users follow the onscreen guide to record their own pulse reading over 30 seconds. They are then advised on whether they may be suffering an irregular or unusually fast or slow heartbeat. 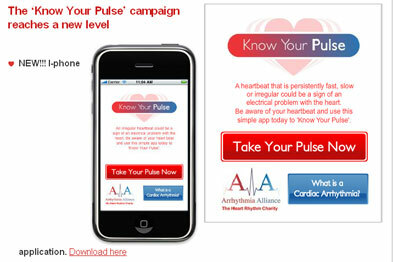 The app forms part of a Arrhythmia Alliance campaign, which aims to improve knowledge of the condition. The charity said the campaign also seeks to raise awareness amongst healthcare professionals of the importance of conducting regular pulse checks during normal patient check-ups so that cardiac arrhythmias are given as much attention as other conditions. A cardiac arrhythmia can cause a range of conditions including Sudden Cardiac Arrest (SCA), syncope (blackouts or loss of consciousness), and atrial fibrillation, a leading cause of stroke, and the most common cardiac arrhythmia. Conditions caused by cardiac arrhythmias kill more people in Europe than breast cancer, lung cancer and AIDS combined. 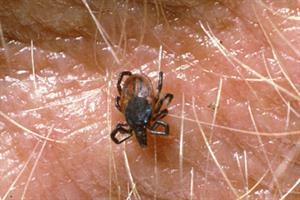 SCA kills 100,000 people each year in the UK alone. The charity has also enrolled Sir Roger Moore, star of the James Bond films, to demonstrate how to correctly take a pulse.